← Pub Quiz back by popular demand! 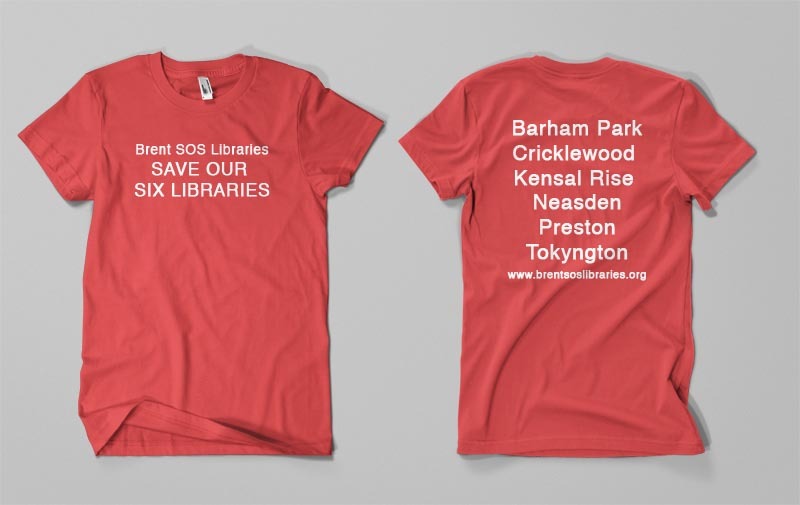 Make a statement this summer (and help save our libraries) with an exclusive Brent SOS T-shirt. £10 each. Large size only. They are selling fast, so Email Us and we’ll make sure you get one. Posted on July 4, 2011, in What you can do. Bookmark the permalink. Leave a comment.